When someone is hungry, it can result in severe weakness, discomfort or pain that is caused by prolonged lack of food. With this they can either experience conditioned satiety and/or alliesthesia. Conditioned satiety is where the feeling the fullness is felt after each meal. Meanwhile, alliesthesia is when a food tastes better when the someone is hungry. According to biology, it is due to the levels of glucose that one feels hungry and its relationship with the hypothalamus. Bulimia Nervosa is a type of eating disorder that is also called as “ox hunger”. It’s a dangerous disorder like most types of disorders. It can harm the/damage the human body once left unattended. In accordance to Mayo Clinic(1), cases of bulimia might be around 15 million. It appears on the surface that is considered as a physiological condition enabling the patient to binge on food and excreting it from their system. It is a recurrent episode of binge eating that makes the patient purge the excess food by, mostly, vomiting. 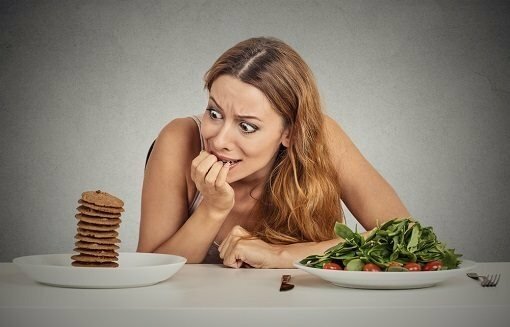 People with Bulimia Nervosa are usually the ones who fears of gaining weight. However, the difference between bulimia and anorexia due to the fact that the patients diagnosed with Bulimia actually purges the food they ate. The thing about bulimia patients is that not all are underweight. There are also bulimia patients who are overweight or obese. They are very particular with their physical appearances that lead to their sense of self-esteem and worth. There are signs to take note as to determine how the symptoms or causes that affected the eating lifestyle of a person. Here are the different signs in determining someone was or is encountering the same problem. These are to promote awareness; and these are the physical sign, psychological signs and from behavioral For the physical sign. For the Physical signs. It involves the abrupt changes in weight, swelling in certain areas in the body due to vomiting, being intolerant to the food, disturbance to the menstrual cycle of women, weakness, exhausted and inability to sleep well. On the other hand, for the psychological signs: frequent distraction instead of eating, conscious of the comments on food most especially to the nutrients it brings to the body and is somehow terrified of it being eaten that might result in any changes to the body weight and shape, Internal conflict with the self after eating like feeling guilty, shame and low self esteem, overthinking on their physical appearance despite the far reality of it, the obsession with controlling food intake, extreme dissatisfaction of the body, and somehow leads to depression, anxiety or even irritability. Lastly, for the behavioral signs: hoarding of food or binge eating, doing actions that purge food like vomiting, laxative or even exercising despite not needing it. 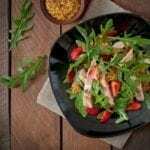 Conscious of eating meals with others that leads to being anti-social for spending time alone, Lying about eating food, Dieting foods with fats and carbohydrates, being spendthrift for food, and self-harming as suicide attempts. Bulimia is a risky disorder as it leads to severe illness. Most of the illness that can be acquired due to this illness involves: Chronic sore throat, indigestion, heartburn and reflux, Inflammation and rupture of the oesophagus and stomach from frequent vomiting, Stomach and intestinal ulcers, Chronic irregular bowel movements, constipation and/or diarrhea due to deliberate misuse of laxatives, Osteoporosis which is a condition that leads to bones becoming fragile and easily fractured, Loss of or disturbance of menstrual periods in girls and women, Increased risk of infertility in men and women, Irregular or slow heartbeat which can lead to an increased risk of heart failure. The thing about bulimia is it is like the mixture of anorexia and binge eating disorder that is why it is also life-threatening. It is different from the two types but in a way similar. This mental illness is risky for the heart as it cannot cope with the substance abuse like laxatives and excessive vomiting. This can make the human body reach its limit due to the effects it is brought by the actions done by an individual who is diagnosed with bulimia.Patients with bulimia give or places too much stress to the body and even uses substance or medicines to counter more the food taken in. This then leads to misuse or wrong mixture of substances or drugs that are not allowed to be mixed together or taken in together because it can chemically create a reaction. Actions done by a bulimic patient is giving a risk to the heart which is a vital organ of the human body. There is no assurance that Bulimia Nervosa can be prevented, but it can help when efforts are made. The environment is a factor that can trigger the brain or emotions of a person. It is important that imposing a mindset that no body shape or appearance or weight is dominant in a human being. Observing is also another way to prevent this. Once a person observes more and is sensitive enough, it might prevent the severity of the self or even of other’s condition. Notice the actions of everyone around and try to make an effort in trying to help them practice the value of food. If one is sensitive enough, it can surely be observant enough to the actions and occurrence of the people around. Most importantly, to prevent bulimia or any mental illness for that matter, it is vital to be aware and know things. 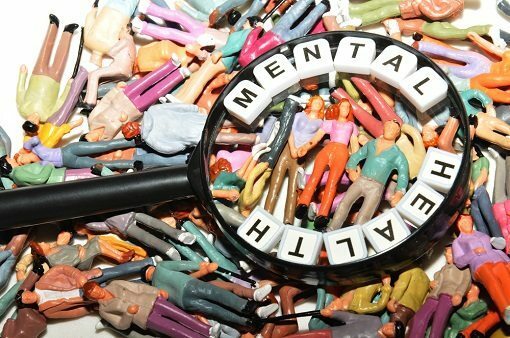 Being aware of things upon knowledge can help the self or that person identify the symptoms and causes or even effects and prevent probable severity of the mental disorder of that person. 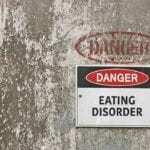 Any type of eating disorder is due to the type of eating habits or life style of a person. Therefore, to prevent acquiring it, one must ensure that their eating lifestyle or habit is healthy, proper and good enough. Any signs of it coming forth upon knowledge must be abruptly taken into professional help like going to the doctor after the awareness to know what to do best and aid the struggle psychologically and medically. Interpersonal psychotherapy, Maudsley family-based treatment (for children and adolescents), Dialectical behavior therapy, Guided imagery, Crisis intervention, and Stress management. Bulimic individuals may actually be treated through taking antidepressants to aid the depression and somehow manage stability of the psychology of the person. There are programs to treat bulimia nervosa. 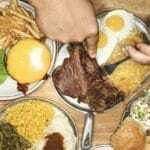 One is to monitor the food taken in the body – not in a way worsening the mental stability by checking up on the fats and carbohydrates embedded on the certain food. This allows the individual to eventually notice the wrong or lack of food taken in the body. Next is to make a plan. A food plan controls the eating time of the bulimic individual. This planning of food must be realistic enough to practice so that, in a way, it can be easier to monitor the changes of the process. The third is to be open of the triggers. Explore the self to know more as to why such disorder befell unto the self. This might require a long time and slow process, but it is a big factor in affecting change within the mental self. In this point, it will also allow the person to know why and when an occurrence of the disorder might arise. Lastly, it is important to cope with the feelings of the self. It is important that as the treatment is going, one should be willing to change the self and turn to a healthier life. Most bulimic (or any eating disorder-diagnosed patients) actually lose meaning in life that resulted in suicide attempts. Therefore, it is vital for a person to gain the will to live and meaning of life. Another person cannot impose a certain life to another individual if that individual does not even want a life to begin with. In this process of treatment, it is important that the ones taking the lead or facilitating are someone capable to do the job – most specifically therapists. As said, the environment is a significant factor to a bulimic person. Therefore, there are also family therapies to educate family members on how to deal and cope with their family member who is diagnosed with bulimia. In this way, they are able to know how to help their family member in the right way that the therapists advised them. As much as willingness is important for the bulimic person, this then applies the looking after the self. If one has the will, then there would be no reason for the person to actually mislead the process. Thus, ensuring the evaluation of the self throughout any treatment. There is also medical support that can help the treatment, but it is vital to not make any wrong prescriptions without the official say of the doctor. Treating a mental disorder does a lot of work as it requires the treatment for the physical body and the mental or psych of the person. In rehabilitation, there are inpatient programs. These programs are usually for patients who are struggling with bulimia for a long time or due to the severity of the case. These are residential programs where patients have to be admitted to a residence or center to begin the treatment process. It lasts for a month or even longer, depending on the case. Those who need to stay in rehabilitation centers are usually and basically: Those with a long history of the disease, Patients who have not been able to treat themselves, Patients who already have previous records of completed treatments in the past, Patients who do not have a strong support system at home, Patients who should have and needs more personal care. These centers value privacy and confidentiality. The duration of the rehabilitation period fairly depends on the case, coping capacity and extent or even desire. They will encounter intake process or assessment, undergo tests and fill up paper works. Psychological counseling is one of the treatments prepared for rehabilitation. They are facilitated by trained specialists to ensure the credibility of actions done per treatment. Also, there are outpatient options as well. Outpatient options are considered to be a more flexible option. Outpatient options are usually for patients who are struggling with bulimia with less intensity. This gives the patient the necessary treatment during daytime and goes home in the evening or on a given schedule. If you are going to choose outpatient options, it would be best for you to choose an outpatient rehab center which focuses on treating patients for specified problems, in this case, bulimia nervosa eating disorder. The costs will, of course, depend on the type of program that the patient follows. The estimated costs of bulimia care start from $8 000 to $50,000 per month. This is according to ECRI or commonly known as Emergency Care Research Institute(2). Assessments will be necessary for the programs. During the process, there will be questions asked to the patient. The answers given will help determine what path or course the patient would best follow. Bulimia Nervosa is a type of eating disorder that is crucial and risky to the lives of every individual. It reveals symptoms that need to be given attention and appropriate counterpart or solutions. Treating it comes in various ways depending on the case of each individual. It might require rehabilitation which also requires a long period of time. 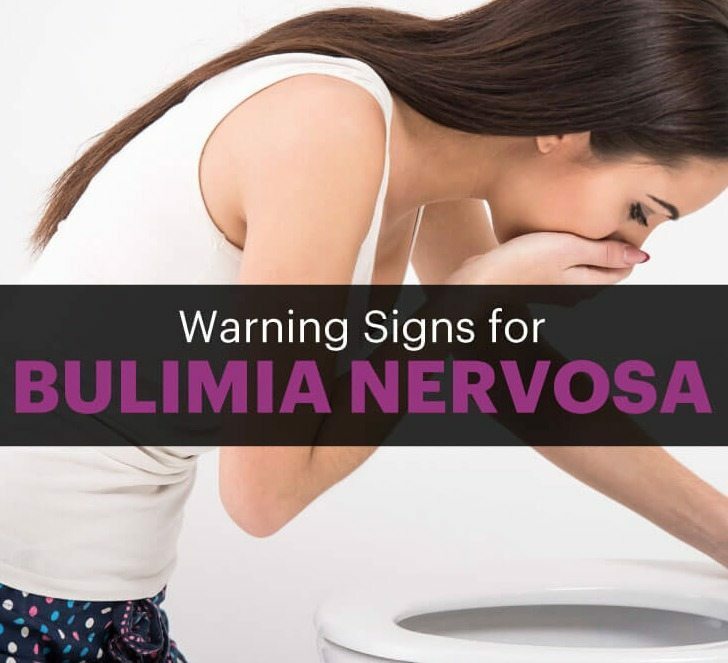 Bulimia is a threatening disorder to a person and it is important that it is easily aided to prevent the worst case scenario and save lives of most, especially to those who barely have ideas about the specific disorder. Bulimia Nervosa kills and it does not kill a person happily. It tortures the person affecting the mind or cognitive and then followed by the pain in the physical bodies which is definitely not easy to cure. Prevention is always better than cure, so it is important to live a healthy life with a healthy habit in eating.